The morning of Thursday, Aug. 9 began with another round of gospel-based discipleship, a practice I have come to appreciate more and more at the Ninth Indigenous Anglican Sacred Circle. 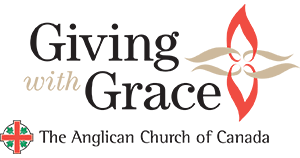 In plenary the previous day, National Indigenous Anglican Bishop Mark MacDonald described the growing spiritual support that GBD has come to provide many Indigenous communities, inviting people to let Jesus into their lives by going straight to the source. 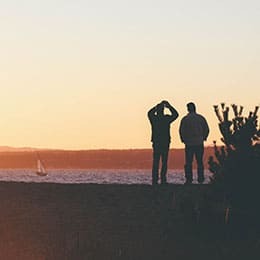 For modern disciples of Jesus, one’s personal faith journey can lead to surprising places as we strive to discern what God is telling us. 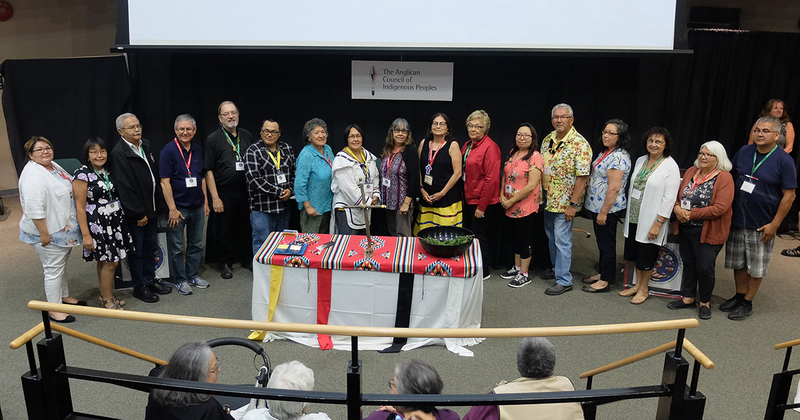 Such was the case for a number of delegates at Sacred Circle who, over the course of a day, unexpectedly found themselves elected to serve as new members of the Anglican Council of Indigenous Peoples (ACIP). 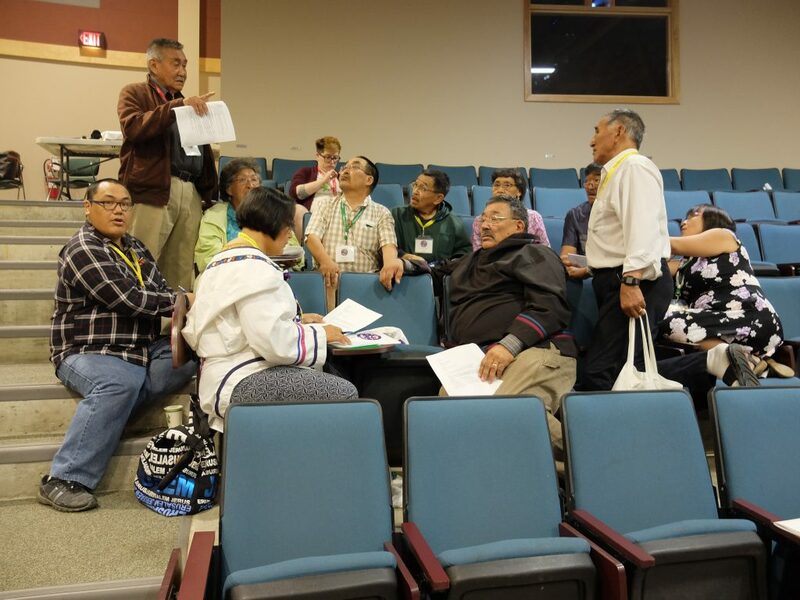 With this year’s Sacred Circle marking the second elections to ACIP under Canon XXII, Bishop MacDonald acknowledged one major deficiency the last time around in the lack of any Inuit representation. This time, that flaw would be remedied. Declaring that “Inuit representation is absolutely essential for us,” the bishop said the current elections included three slots for Inuit representation, prompting enthusiastic applause from delegates. One of those Inuit representatives who would be elected to ACIP was Martha Kunuk. A resident of Iqualuit, Nunavut in the Diocese of the Arctic, Kunuk is a mother and grandmother whose first language is Inuktitut. 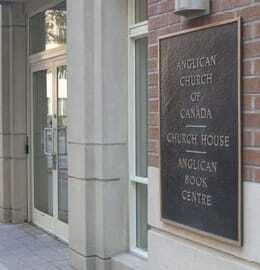 Besides the new Inuit members on the council, the revamped membership of ACIP also included representatives from the younger generation of Indigenous Anglicans. Sheba McKay, 33, is the new representative the Indigenous Spiritual Ministry of Mishamikoweesh. Hailing from the northern Ontario community of Kingfisher Lake, she is Oji-Cree. Like Kunuk, McKay was not expecting to run for ACIP when she woke up that morning. But when the time for nominations came around, she decided to give it a try by “just letting God work”. Earlier in the day, we heard updates from General Synod staff members and representatives of other church bodies advancing reconciliation on various fronts. Archivist Nancy Hurn gave a presentation on how to search online through church archives for material related to the residential school system. In recognition of her services towards reconciliation and her upcoming retirement, Hurn was honoured with a friendship blanket and received a standing ovation from members of Sacred Circle. General Synod Web Manager Brian Bukowski guided Sacred Circle members through components related to Indigenous Ministries on the Anglican Church of Canada website. He also gave them a preview of a new bilingual website in the works for the Indigenous Spiritual Ministry of Mishamikoweesh. The display of the proposed Mishamikoweesh website with text in Oji-Cree led to another round of applause. Collaboration with General Synod communications to produce a video on the Doctrine of Discovery, which they presented to members of Sacred Circle. They also shared the latest work of the formation of a Jubilee Commission which was affirmed by the Council of General Synod in June 2018. This Commission would propose a funding base for a self-determining Indigenous church and address inequalities such as the rates of stipendiary ministry and the concentration of the church’s wealth and resources. 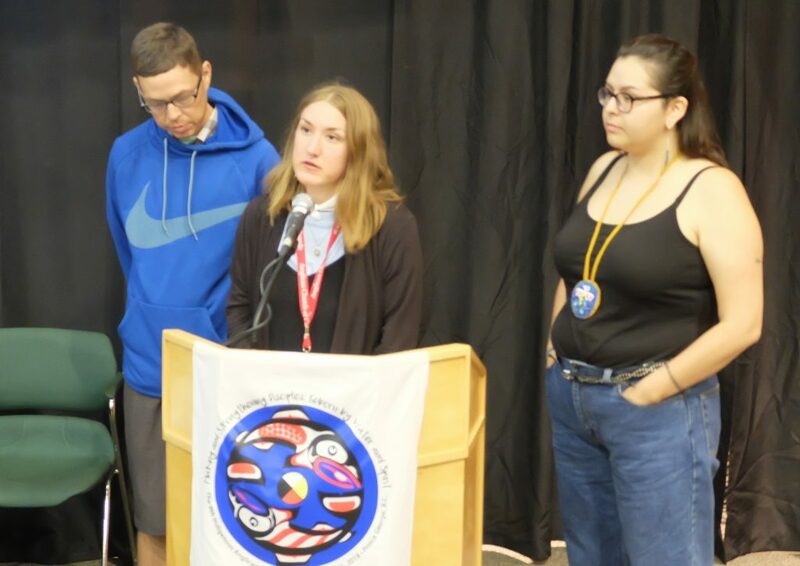 Updates on the work of the Vision Keepers Council, were also provided from members Laverne Jacobs, Judith Moses, Leigh Kern, Danielle Black, and Aaron Sault. 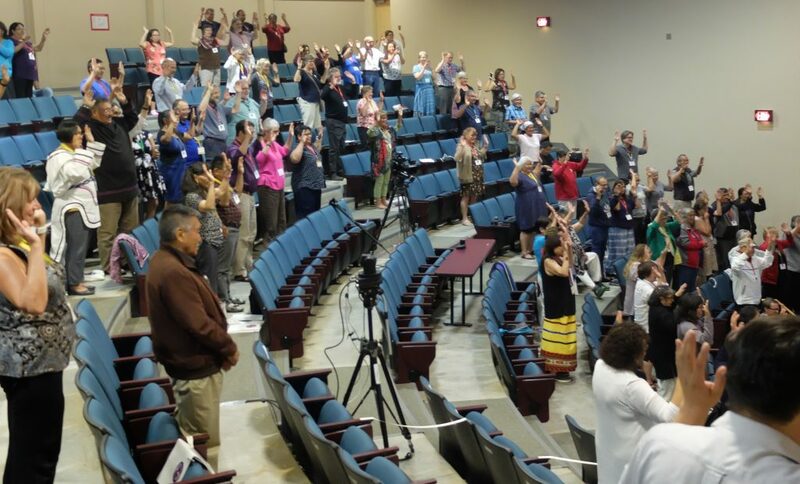 Currently focused on monitoring and supporting the Anglican Church of Canada in implementing the United Nations Declaration on the Rights of Indigenous Peoples (UNDRIP), the Vision Keepers have suggested a range of tools to help realize UNDRIP throughout the wider church. 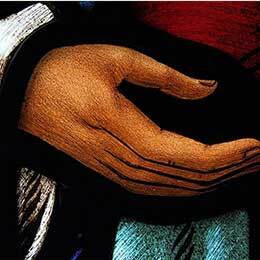 The larger goal of Indigenous governance for a self-determining Indigenous church. At the end of the day, Thursday’s agenda brought to Sacred Circle representatives from the Anglican Church in Aotearoa, one of three tikanga or groups alongside New Zealand and Polynesia that collectively serve as a province of the Anglican Communion. Bishop Richard Wallace, Archdeacon Mere Wallace, and Bishop TeKitohi Wiremu Pikaahu shared songs, language, and the history of their own Maori people. Recognition of faith through different cultural expressions is officially enshrined in the church in this region, to the point where its leadership is based on three primates who share authority equally, each representing a different tikanga. Mere Wallace said that the church constitution in their province includes provision to allow their people to express their vote as Maori—reflecting their traditional culture, values, and language, organizing ourselves as they deem appropriate, and participating as equal partners. “Our cultural practices, our expression of our faith through our language and through song, through stories and how we worship, reflect our own Indigeneity,” the archdeacon said. Sacred Circle continues until Friday, August 10.